Specialty: First animal identification company in the USA. Provides radio-frequency identification (RFID) micro transponder systems with BIO-THERMO technology used to identify livestock, wildlife, fish, pets, and companion animals. This Keychain features an actual Destron Fearing RFID (radio frequency identification device) Test Chip embedded in Lucite. Destron Fearing is a leader in providing RFID chips to the livestock industry. 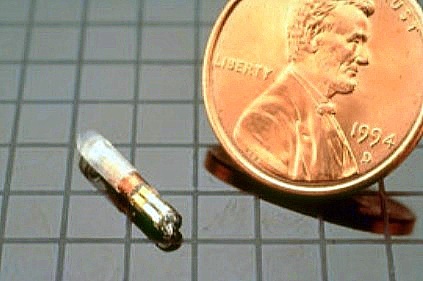 In 2007, The United States Department of Agriculture announced that Destron Fearing's "LifeChip" Implanted RFID Chip was approved for use as part of the National Animal Identification System (NAIS). 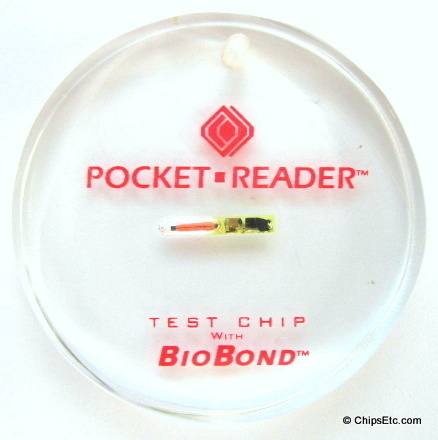 LifeChip not only provided animals with a unique 15-digit identification & tracking code, it was also capable of providing non-evasive temperature measurement data.